If you’ve never been to a rodeo this is your chance to visit Albuquerque, New Mexico and experience a taste of the Old West done rodeo-style. October 20-22 marks the 31st anniversary of the World Gay Rodeo Finals (WGRF) and it will bring rodeo contestants from throughout the U.S. and Canada to show what they’re made of at this signature event of the International Gay Rodeo Association (IGRA), the sanctioning body for all LGBTQ rodeos. Contestants have already been earning points since last year’s WGRF in local and regional IGRA-sanctioned events to earn a right to qualify for participation in this year’s WGRF. 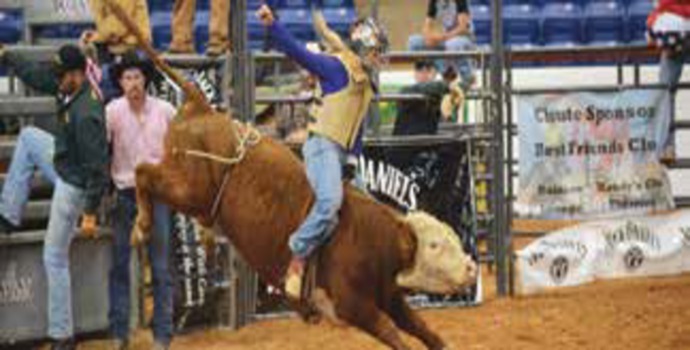 The rodeo events include the standard calf and team roping, horse barrel racing, flag racing and pole bending as well as the rough stock events, like bull riding, steer riding, bronc riding and steer wrestling. But what makes the WGRF so much fun are the three special “camp” events; they are always huge crowd favorites. They include steer decorating,goat dressing and the amazing and funny wild drag race in which a team of three try to get a fully costumed “drag” queen mounted on the back of a bucking steer. If you have never seen someone decorate a steer, dress a goat or take part in the hilarious and unpredictable wild drag race, now is your chance – you won’t want to miss it! Since only the “best of the best” are invited to compete in the WGRF, you can be sure that this year’s event will surely impress all the fulltime and recreational cowboys and cowgirls in attendance as well as those fans new to the sport. And if you should just happen to catch the rodeo fever while you’re there and want to be part of it, IGRA holds regular rodeo schools throughout the countries to teach proper safety skills and animal care. While they want you to learn how to stay safe while having fun, the teaching of proper animal care is also an important mission for IGRA members since so few people actually live on farms and ranches today. Although the first Gay Rodeo was held in Reno, Nevada in 1976, it wasn’t until 1985 that IGRA was formed, thanks to the cooperation of gay rodeo associations in Colorado, Texas, California, Arizona and Oklahoma. So from its founding, IGRA’s mission has included collaboration with member associations in raising money for charities in their communities each year. To date, member associations have raised over $2 million for a diverse array of charitable organizations. But the organization has also kept up with the times and is very ally-welcoming. Everyone is welcome at the rodeo! To learn more about IGRA and Its World Gay Rodeo Finals, please visit www.igra-wgrf.com.